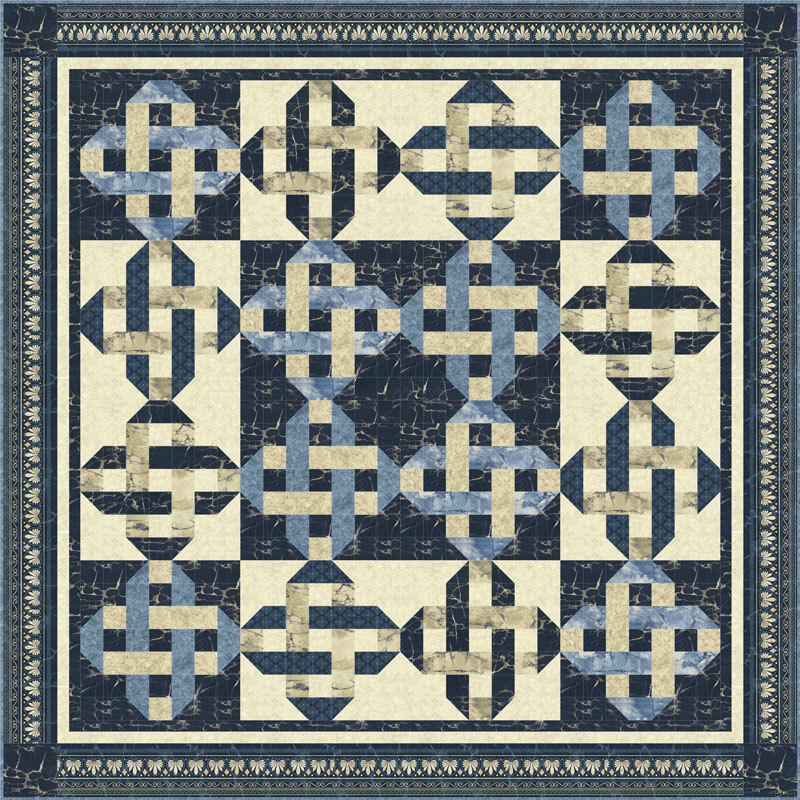 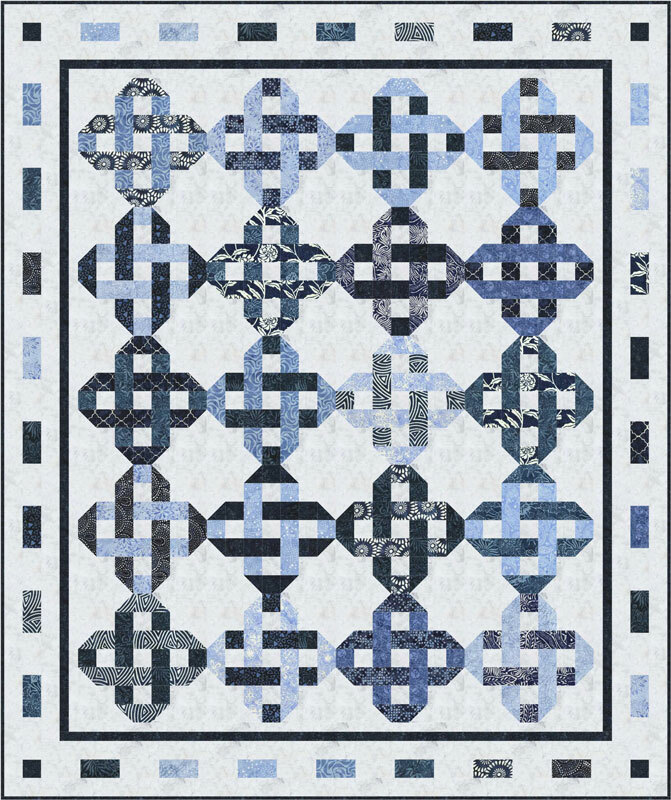 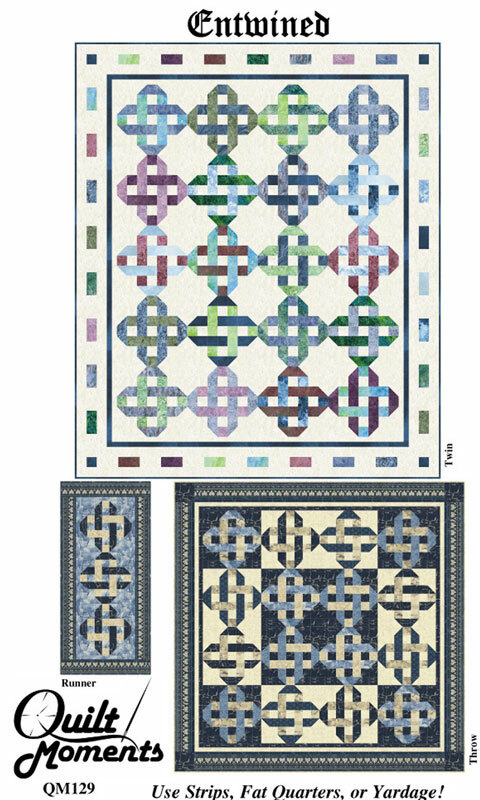 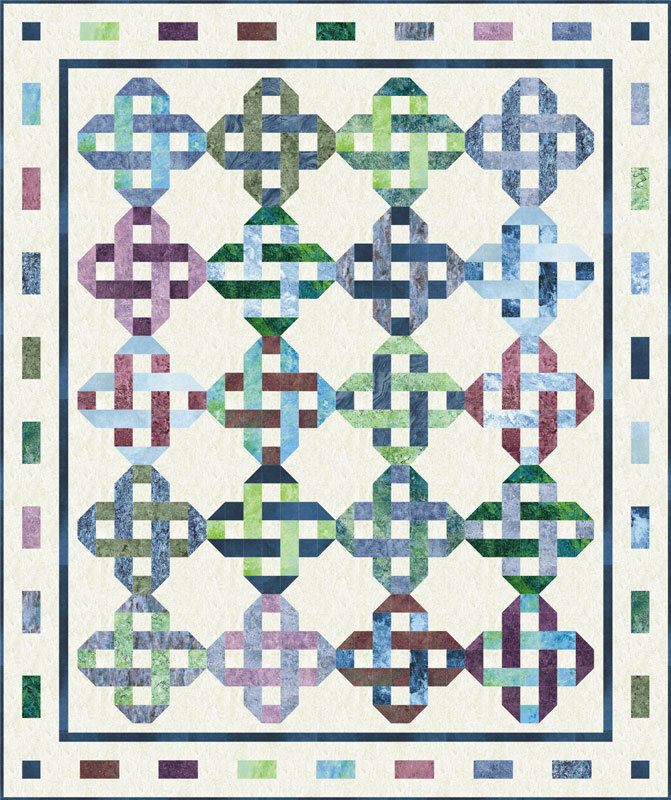 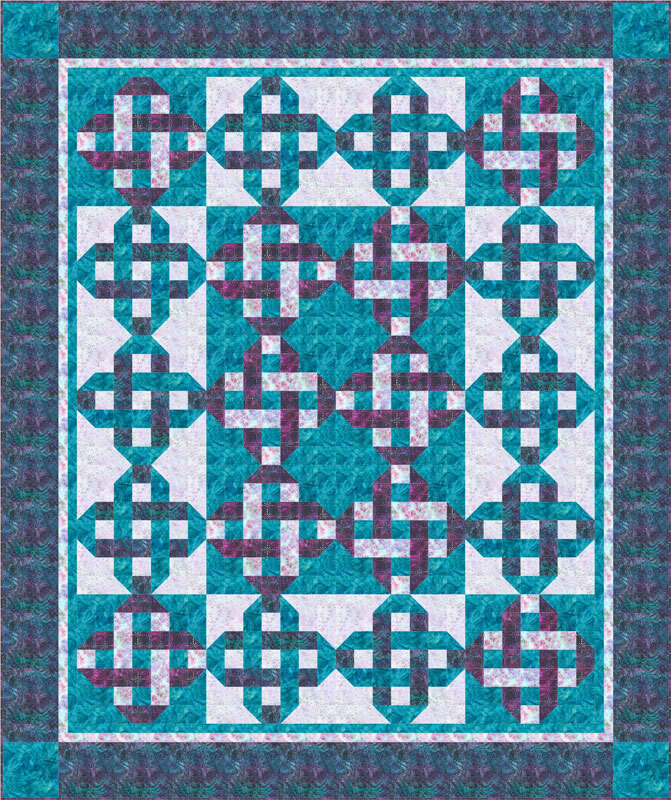 Elegant interlocking blocks look complex yet are pieced with three easy units. 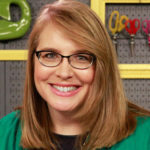 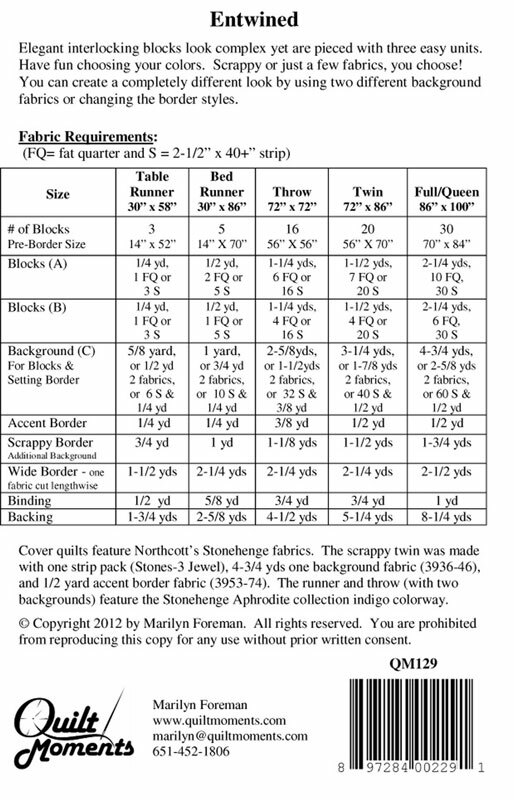 Many options: use 2-1/2″ strips, fat quarters, or yardage. 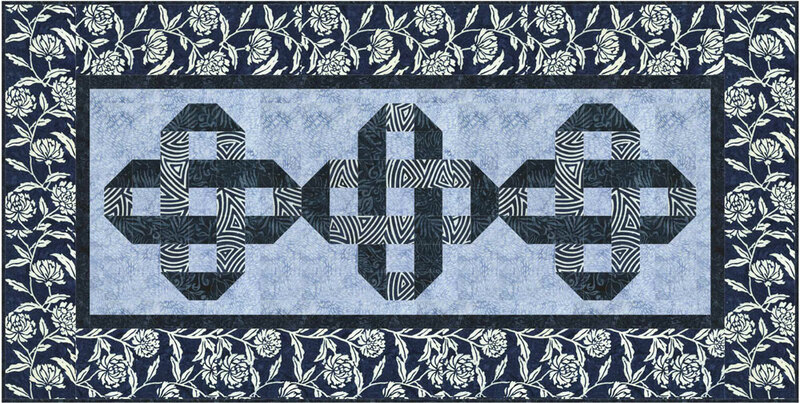 You can create a completely different look by using two different background fabrics or changing the border styles.